The Haddock Meadow Plush Pillow Top is part of Beautyrest’s Platinum line. This mattress has a profile height of 16 inches and is compatible with adjustable foundations. The Haddock Meadow Plush Pillow Top’s comfort layer is composed of InfiniCool™ Fiber, 1 1/4″ AirFeel® Foam, 3/4″ GelTouch® Foam and 2 3/4″ Comfort Foam. 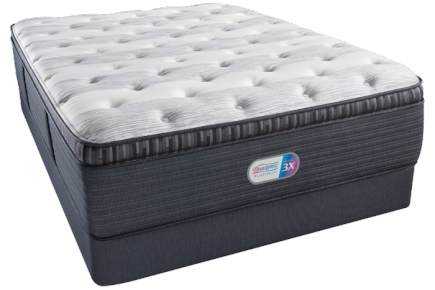 The contour layer is composed of 1/2″ Beautyrest® Gel Memory Foam, 1″ Advanced BackCare® Support and 1/2″ GelTouch® Foam. 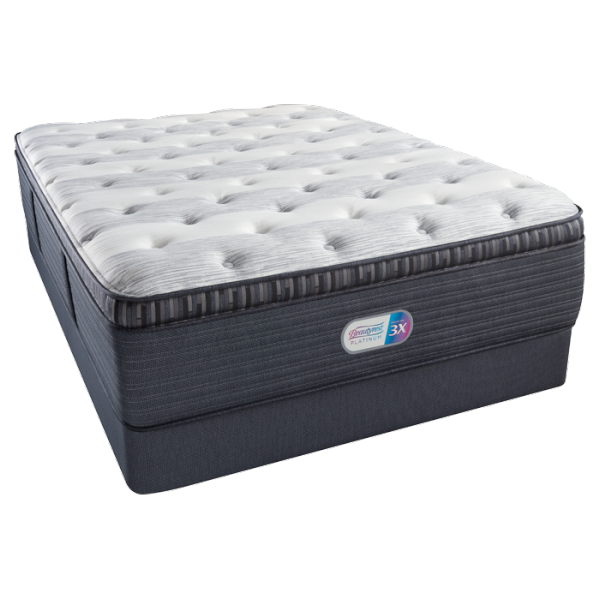 The support layer of the Haddock Meadow Plush Pillow Top contains 1000 Density Beautyrest® Pocketed Coil® Technology and Beautyrest’s AirCool BeautyEdge®.